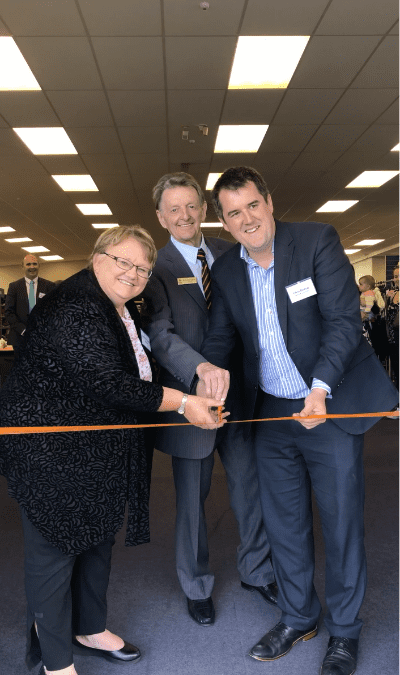 Habitat for Humantiy CNI are proud to officially open a new ReStore, the first of its kind in Lower Hutt. A VIP opening ceremony was held yesterday at the Store, where Habitat CNI Chairman John Gallagher cut the official ribbon. National MP for Hutt South Chris Bishop, and Councillor Glenda Barratt were also in attendance. Habitat for Humanity Central North Island General Manager, Nic Greene said the new store allows locals to support Habitat’s work. The new store is the eighteenth in the country’s network of ReStores and it has already received positive feedback from Lower Hutt locals. Shoppers walking through the store at the time of the official opening said that they were impressed with the store and what Habitat for Humanity does to address housing need. The ReStore would like to acknowledge major donors Ian Roberston (Porirua Mall), David Jones (CROWN), Big Save Furniture, and Wellington Beds.